Bring your family to see our family. 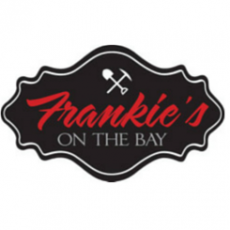 Frankie's on the Bay has eclectic scenery, it is like stepping into the coal days with old railroad pictures and set back in time. We are totally different from anything you will find in Ocean City. We are a family friendly restaurant providing pasta, burgers, lasagna, homemade soups, salads, and variety other special entrees. As well as an extensive breakfast menu featuring our specialty eggs benedict and omelets!